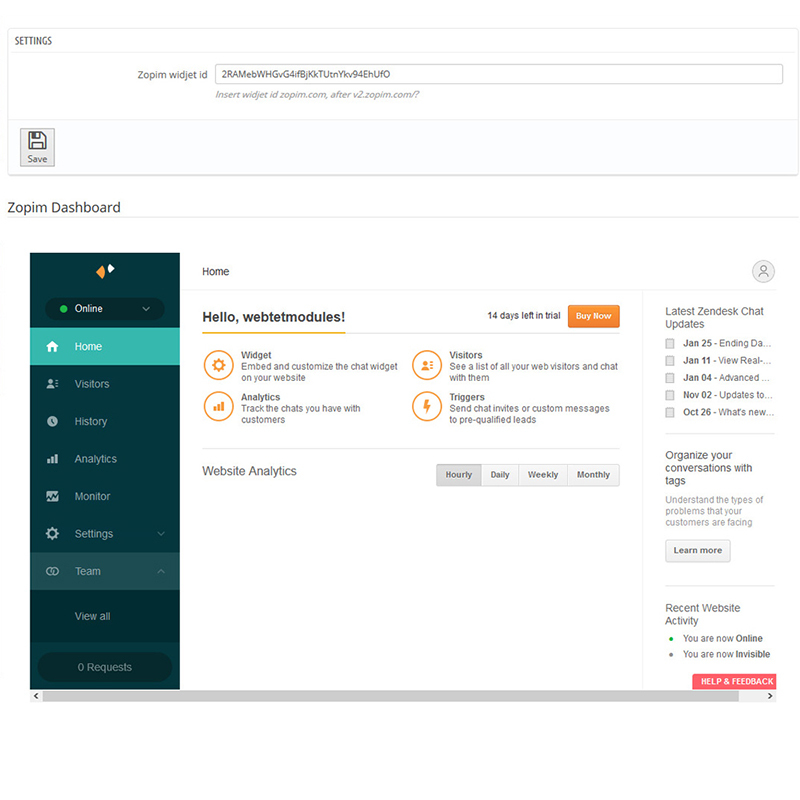 Place our beautiful, customizable module “Zendesk Live Chat (formerly Zopim) for Prestashop” with chat widget on your store, and start having genuine conversations with visitors in seconds. Just like in a real shop, Zendesk live chat lets you talk to visitors on your website. Did you know that 83% of consumers need some kind of customer support when making an online purchase? And 45% of customers abandon an online transaction if their questions or concerns are not addressed quickly. This module helps you engage, satisfy and delight every visitor on your website, giving them a memorable experience they will never forget, and the module will help you increase the number of sales. 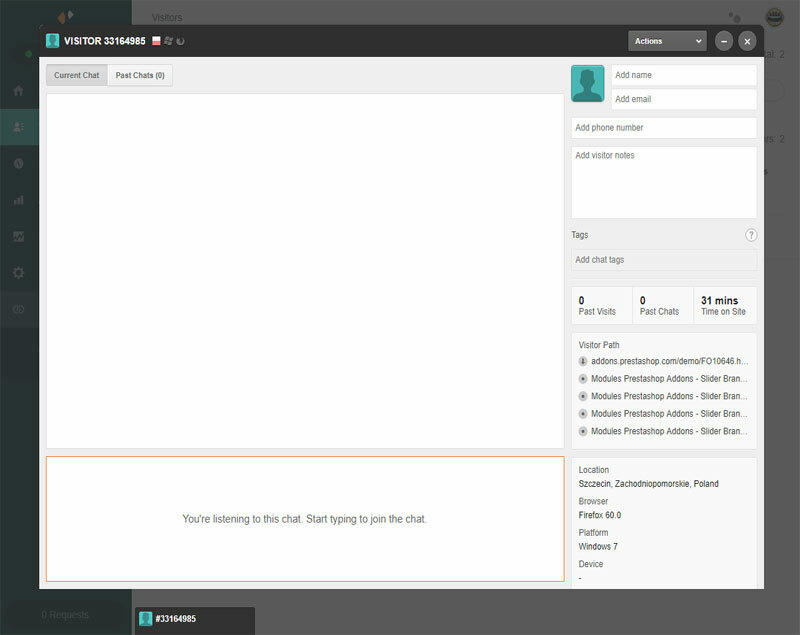 You can manage multiple conversations through the online Dashboard. Real-time customer engagement made simple. 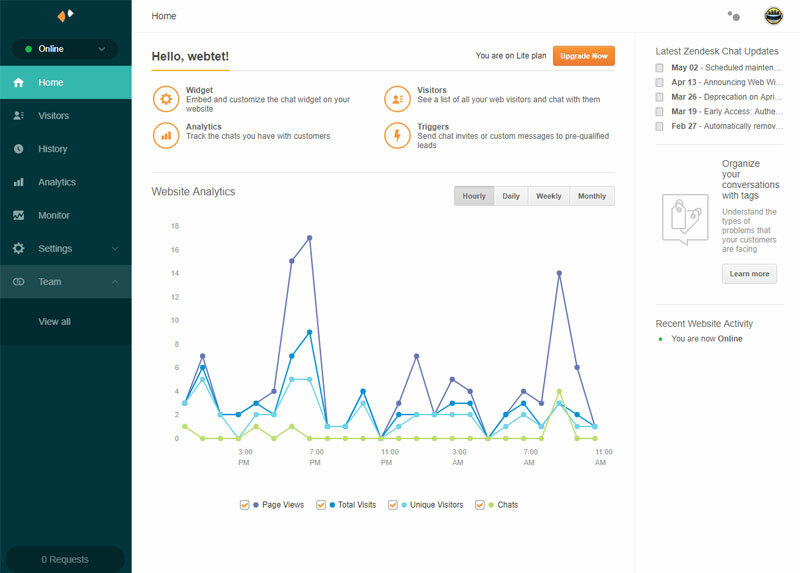 Live chat is a faster and more personal way for you to engage your customers. With this module, users get best customer service and response time. With “Zendesk Live Chat (formerly Zopim) for Prestashop”, visitors to your store will be able to chat directly with you through the widget. Customers can chat with Merchants from any device using our mobile optimized chat widget. 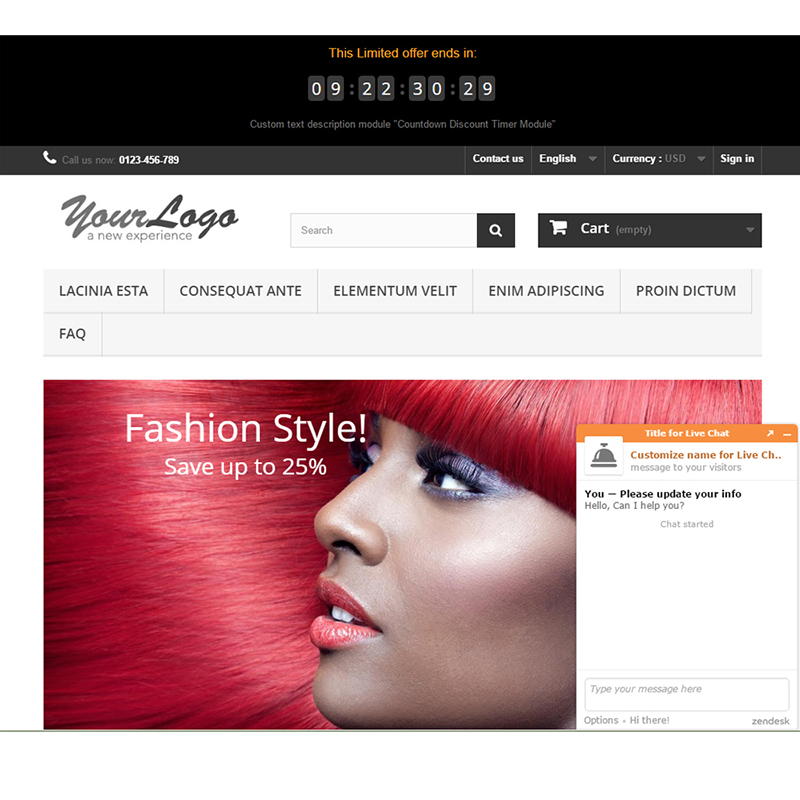 You can select many colors with dashboard to change color style ideal for the overall design of your store. 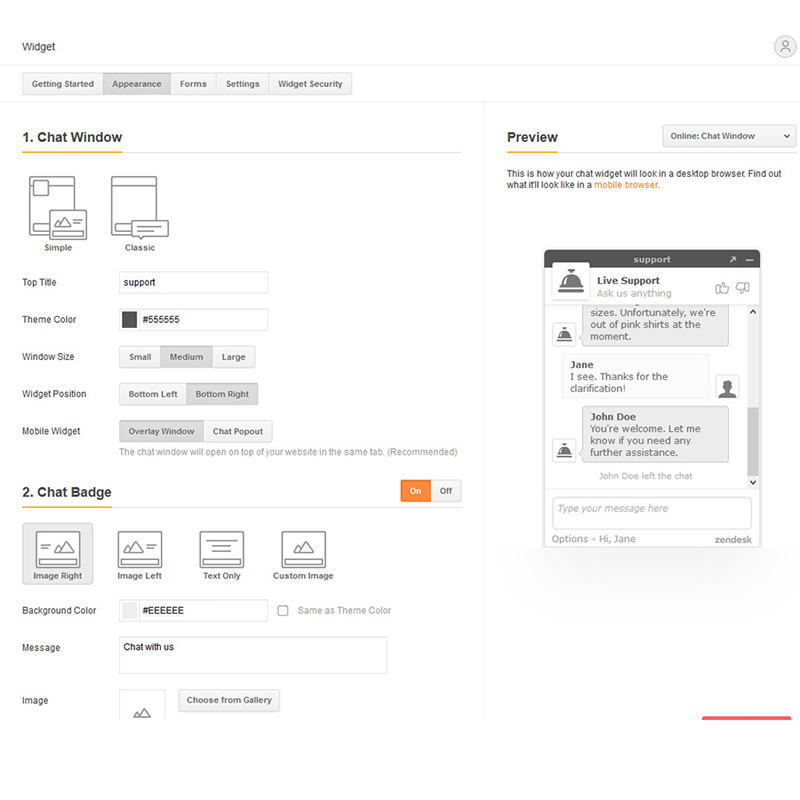 Online: Chat Window and Offline: Offline Form. Online: Chat Button and Offline: Chat Button. Configuration – Zendesk widget id. 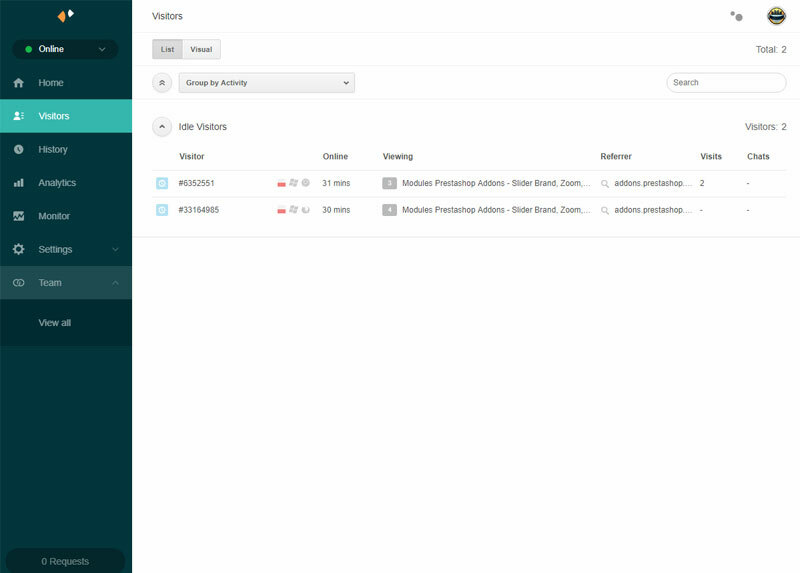 Added Zendesk Dashboard with iframe in configure of module. This plugin is supported. All you need to do is contact the developer through the Webtet e-mail or Webtet profile page.